Are you icky or sticky, grimy or grubby, mucky or yucky? 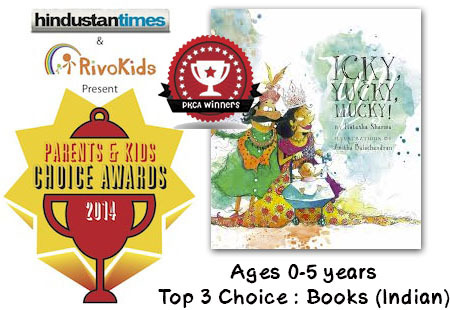 Voted to the Top 3 in the RivoKids Parent and Kids Choice Award 2014. Listed in Karadi Tales list of the Top 12 books of 2011. Maharaja Icky is quite the most disgusting King you’ll ever have the misfortune to meet. The ruler of the kingdom of Ickhtarpur regales all with his utterly vile table manners. While he sits licking curry from hand to elbow and juggling rosogullas, his beloved nail-nibbling queen Maharani Yucky, joins him. The deliciously gooey tale of Icky, Yucky, Mucky! 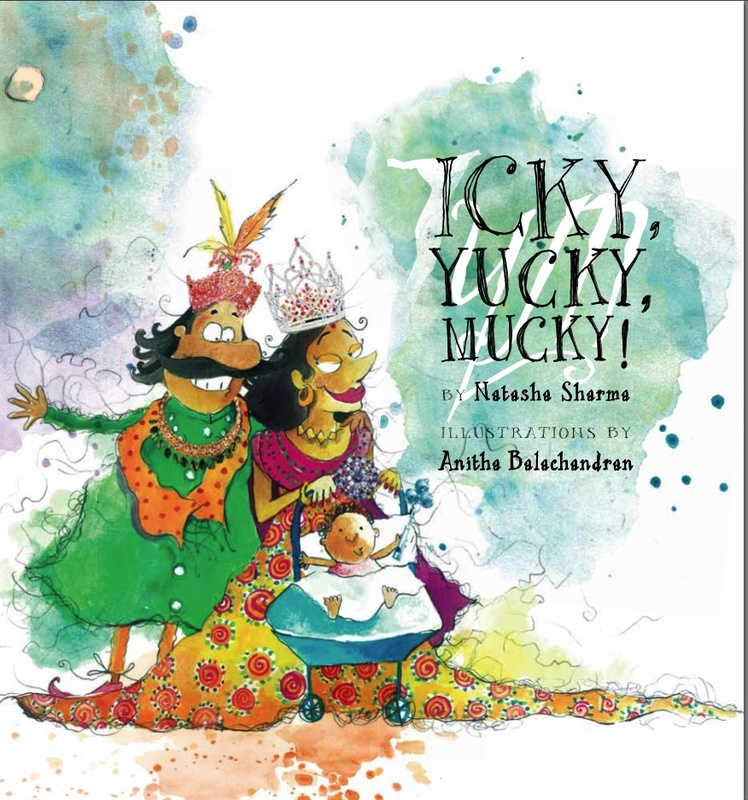 with gleefully gross illustrations by highly acclaimed children’s illustrator Anitha Balachandran, will have children squirming in their chairs and yelling with delight. And perhaps, learning a lesson or two in table manners! An Icky, Yucky, Mucky book trailer! “Icky, Yucky, Mucky, as the name suggests, is truly one of the most disgusting books I’ve ever had the privilege of reading to my children. Goo, poo, snot and projectile rosogullas are just the tip of the iceberg. The book certainly does not let the title down… …Author Natasha Sharma has her finger on the pulse of young readers and it is roll on the floor-and-laugh-out-loud and cringe-dramatically-at-each-page fun. In a world full of social messages and sermons, this is one for the kids’ side. It’s almost *gulp* anti-establishment. Yes, it is nice to find books that help you deal with bullies or the death of a pet but every once in a while they should be given a break in favour of out and out icky-ness. Sing along to an icky, yucky, mucky song with author, illustrator and editor!